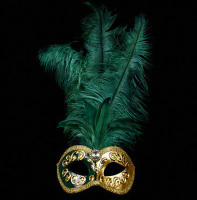 This ultra-glamorous feather mask is beautiful in its gold & green colours & will help you strut your stuff in style whatever the event. 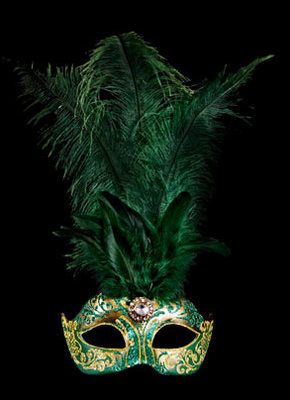 Very glamorous, bold & sassy, this stunning mask features a fashionable hand painted green & gold swirl finish & of course embellished with stylish green feather plumes. 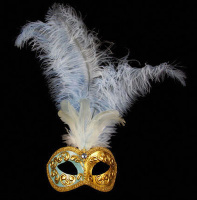 The ultimate in style and sophistication, this stunning item will add a touch of luxury to your party wardrobe and will ensure you're always one step ahead of the trend. 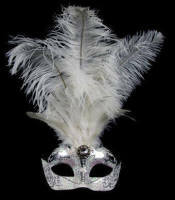 This ladies mask's elegance and design commands an air of class that will be a conversation starter at any event. 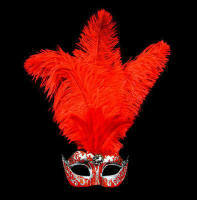 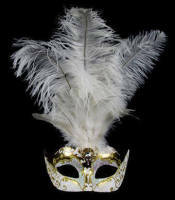 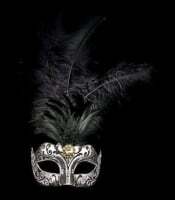 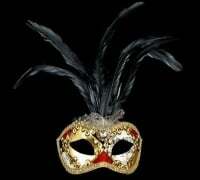 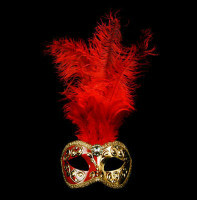 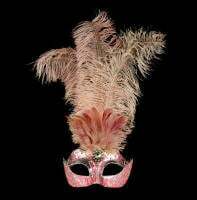 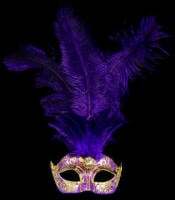 Ideal for weddings, Venetian parties and any other masquerade events. 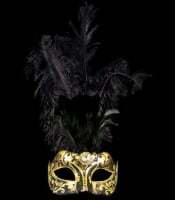 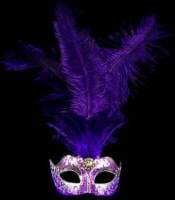 Black Satin ties allow this mask to be adjusted an worn comfortably by anyone.